All editions are beautifully designed and are printed to superior specifications; some include illustrations of historical interest. Barnes & Noble Classics pulls together a constellation of influencesbiographical, historical, and literaryto enrich each reader's understanding of these enduring works. It was the best of times, it was the worst of times . . . With these famous words, Charles Dickens plunges the reader into one of history's most explosive erasthe French Revolution. From the storming of the Bastille to the relentless drop of the guillotine, Dickens vividly captures the terror and upheaval of that tumultuous period. At the center is the novel's hero, Sydney Carton, a lazy, alcoholic attorney who, inspired by a woman, makes the supreme sacrifice on the bloodstained streets of Paris. 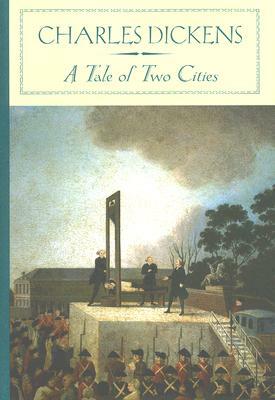 One of Dickens's most exciting novels, A Tale of Two Cities is a stirring classic of love, revenge, and resurrection. Gillen D Arcy Wood received his Ph.D in English from Columbia University in 2000 and is currently an assistant professor at the University of Illinois, Urbana-Champaign. He is the author of The Shock of the Real: Romanticism and Visual Culture, 17601860.